Browsing through the latest edition (number 11) of the Place Branding and Public Diplomacy Journal, we came across the article titled A new China: Media portrayal of Chinese mega-cities, written by Emma Björner and Efe Sevin. Curious about the role of place branding in China’s rapid urban development, we invited the authors to share their key findings and thoughts on the current state of city perceptions and place branding research and practice in China. Here are Emma’s answers. What motivated you to write the article? Emma: Efe was during a few months a visiting scholar at Stockholm Program of Place Branding, a research program that I am a member of. Efe and I wanted to combine our competencies related to the field of place branding, public diplomacy and media studies, as well as methodology and the empirical setting of China. In the context of China’s increasing attempts to communicate certain images in the global landscape and towards international audiences, we were curious to find out how brand images of Chinese mega-cities were portrayed in mass media and whether these portrayals were in line with China’s attempts to outreach to the world. Which are the key findings? In the article we state that Chinese mega-cities have the potential to both facilitate Chinese relations with the rest of the world, and to contribute to a changing image of the nation. On the basis of our analysis of international print media focusing on Beijing and Shenzhen, we argue that these two cities are not fulfilling this potential. The findings also show that political stereotypes about China are rampant – stereotypes that are unlikely to be broken solely by communication and promotion activities. Instead, new branding campaigns for China and Chinese mega-cities could follow a branding through deeds, including concrete changes in domestic and foreign policy arenas, to improve the Chinese image, as well as concrete changes in the respective cities, to come across as authentically livable, innovative, and global. Another key insight is that established institutions in the cities receive frequent coverage that does not decrease over the years. Shenzhen’s stock market is one institution prominently covered both in national and foreign media resources. In order to increase the volume of and to diversify the topics of coverage, investing in new institutions might consequently be essential. In line with previous research, the findings also show that mega-events spark interest in the cities. The 2008 Beijing Olympics increased the volume and changed the topic of coverage, and the city of Beijing is still collecting its return on investment on this mega-event. Similarly, 2011 Universiade Games earned the city of Shenzhen an opportunity for global publicity. (How) has your view on the media portrayal of Chinese mega-cities changed since you conducted the research presented in the article? The findings presented in the article are largely valid also today, and branding through deeds is considered central in order to create authentic brand images. By taking into consideration non-print media such as social media platforms that include user-generated content a wider picture can however be illustrated. China and Chinese mega-cities are increasingly using various channels in addition to traditional print media to reach diverse audiences, including online channels and social media, allowing for a wider coverage around the world. Chinese, state controlled news agencies around the world are growing in numbers. They are used in order to complement a “Western” depiction, contribute with “Chinese” media portrayals and create increased influence over the global news landscape. (How) has city branding practice in China changed since your research? City branding practice in China is constantly changing and evolving, one reason being that it is a young, hot and timely topic in China. Chinese cities are increasingly branded, and a growing number of cities are also becoming more sophisticated, strategic, proactive and modern in their branding techniques and communication. 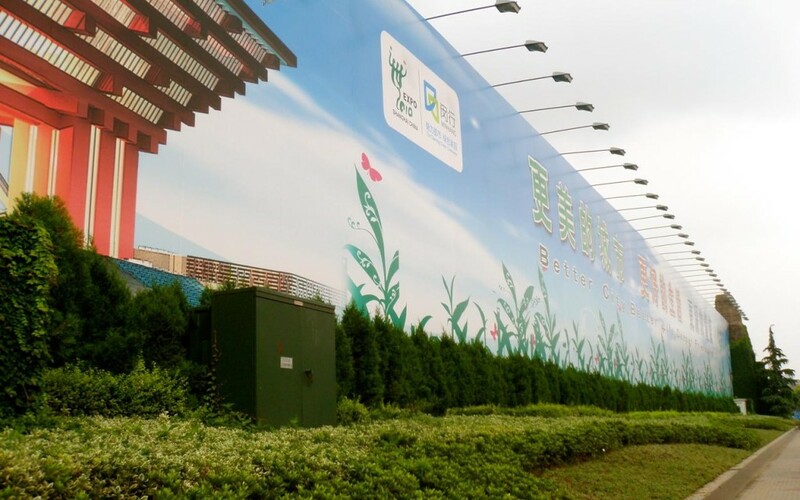 Even though city branding is becoming more modern, some would however argue that city branding practice in China is too much propaganda like, as well as too much one-way orientated (top-down), creating resistance to messages and portrayals. City branding has changed in recent years also due to change of leaders, partly because of the anti-corruption campaign led by President Xi. In China, political leaders influence city branding greatly, and change of leaders can as a consequence have vast impact on city branding practices. President Xi’s anti-corruption campaign has also resulted in more careful spending of resources, and thus cuts in city branding budgets. International branding efforts are pricy and effects hard to measure, making those less desired to invest in during times of abstinence. President Xi’s national concept the Chinese dream has moreover come to impact city branding practices in China. Chinese mega-cities, such as Beijing, embrace the dream concept and incorporate it into the city’s branding activities and communication. The connection between China’s attempts to outreach to the rest of the world and the portrayals of Chinese mega-cities can thus be seen as strengthened through the Chinese dream concept. This is something we probably would find in media portrayals if repeating our study now or in the near future. Would you consider China’s place branding initiatives a success? There are both examples of successful and less successful place branding initiatives in China. A number of mega-events have been successfully arranged in previous years, such as the Beijing Olympics 2008, the Shanghai World Expo 2010, Universiade Games in Shenzhen, 2011 and the Fortune Global Forum in Chengdu 2012, creating favorable images and media coverage for both China and Chinese mega-cities. Other place branding initiatives in China include city spirit campaigns, aimed partly at residents and other internal audiences. 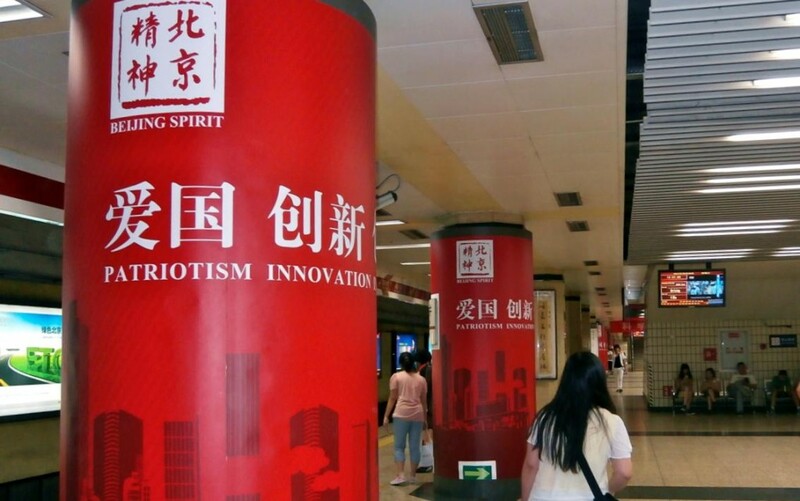 The Beijing Spirit campaign included four key words, namely patriotism, inclusiveness, virtue and innovation, and was promoted through various channels inside and outside the city. In hindsight the campaign can be seen as successful in its attempt to focus on residents, and less successful in terms of its propaganda orientation and one-way communication style. 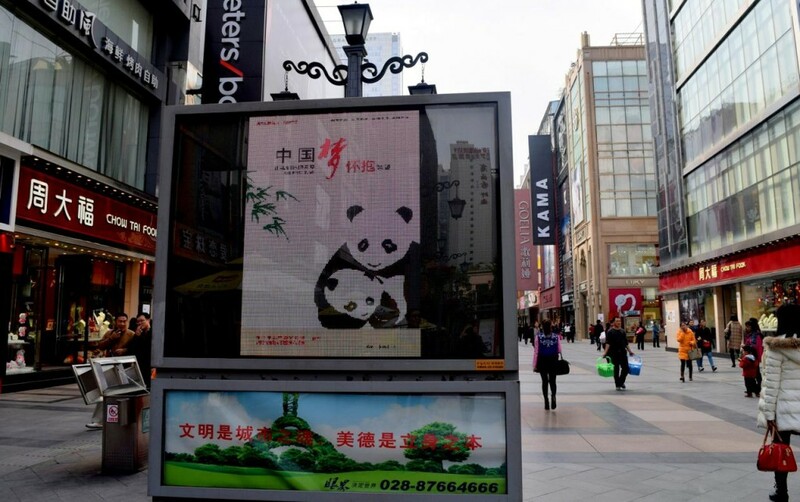 A more dialogical, interactive approach to place branding has been used for example in Chengdu, in various online city branding campaigns aimed at audiences around the world. Chengdu has been regarded one of the successful frontiers in terms of place branding in China, and has engaged in proactive and modern place branding practices. Chengdu has involved international firms and PR consultants to assist with expertise on international audiences and media outlets such as Facebook, Twitter and Youtube. It is important to keep in mind that in China, place branding practice and research are relatively new phenomena. China has a different historical, cultural, social and political context as compared to places in the West. We should not assume that place branding evolves in exactly the same manner in China as in the West. Place branding initiatives in China are both similar and different from what we see in the West. What proves to be successful in Western countries may not necessarily be successful in China, and vice versa. Further research is necessary in order to better understand the media portrayal of China and Chinese mega-cities. A more inclusive picture of portrayal of Chinese cities should also incorporate non-English sources. Further research should also, ideally incorporate non-print media resources such as social media platforms that include user-generated content. Future research should moreover compare the Chinese experience with other countries that have used cities to change their national brand image, such as the United Arab Emirates. Want to know more? The whole article is available (for subscribers) from the Journal of Place Branding and Public Diplomacy. 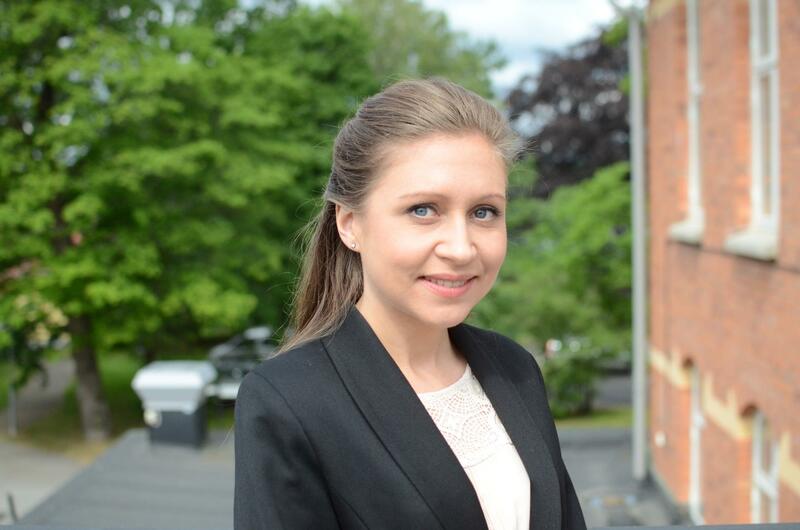 is a Doctoral Candidate at Stockholm Business School, Stockholm University. Her research is about the branding of Chinese mega-cities, focusing on the imagery and pictorial language created and communicated in the branding of Beijing, Shanghai, Shenzhen, Chengdu and Chongqing. Did you find those research insights into city branding in China and media portrayals of Chinese mega-cities useful? Please share!